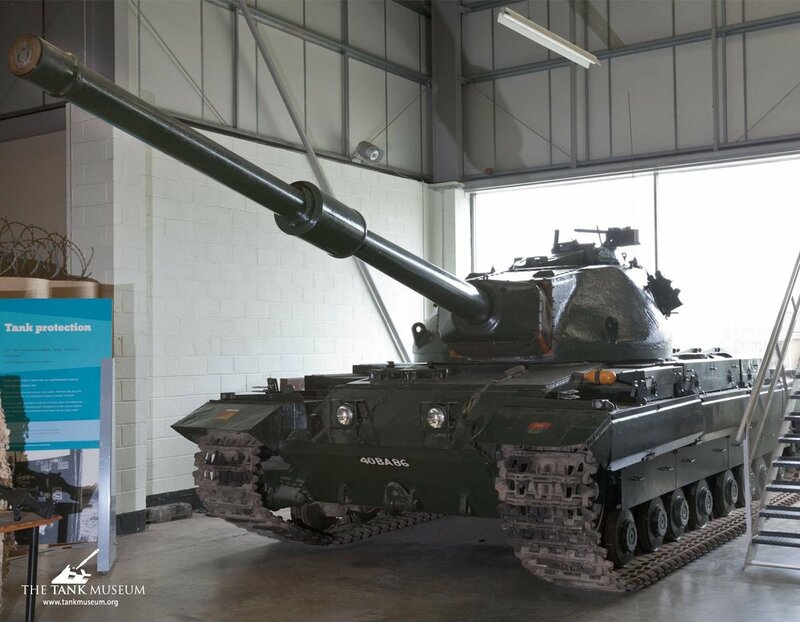 Conqueror MK.I at The Tank Museum, Bovington. 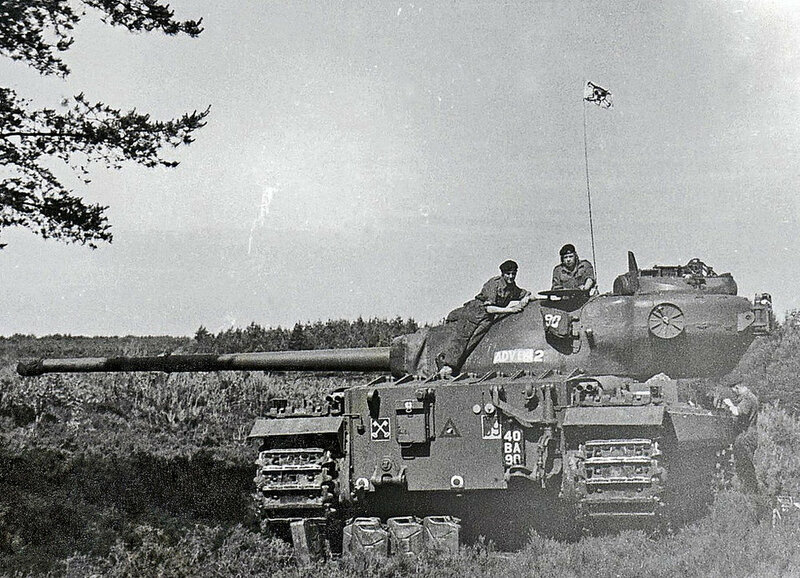 Commander's cupola of the Conqueror MK.I displayed at Bovington. 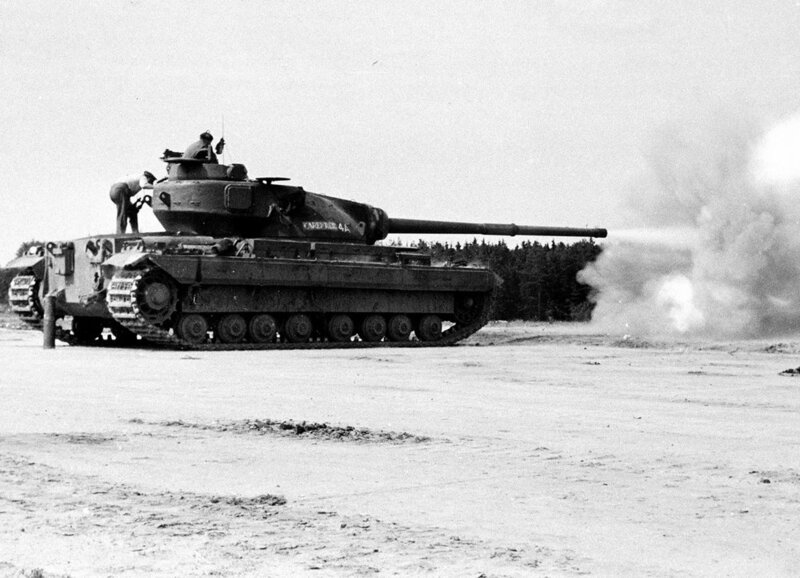 Conqueror ''CAREFREE'' of the 3rd Hussars, British Army of the Rhine, sends a round down range at the Hohne, 1956. 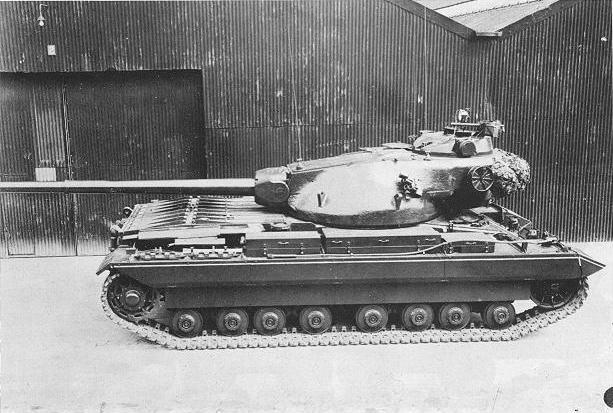 Conqueror MK.1, 3rd Hussars. Muenster, Germany, ca.1957. 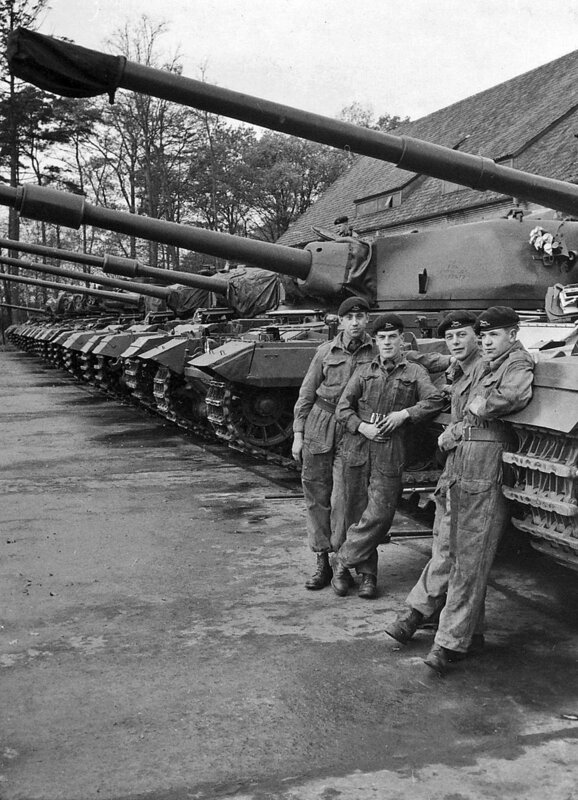 3rd Hussars, Muenster, Germany. 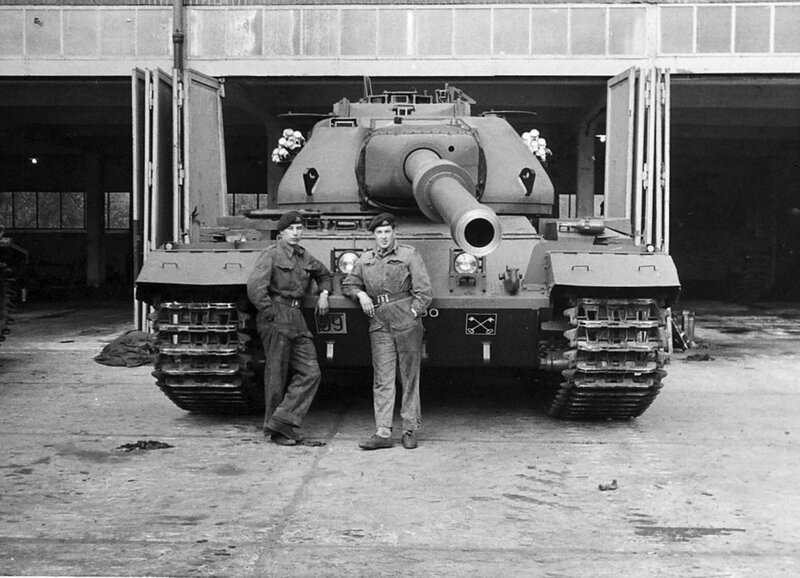 Note the Centurion next to the Conqueror. Conquerors passing through a German village. 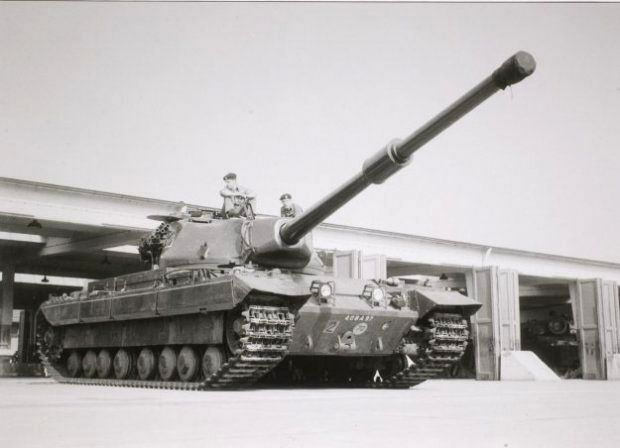 Conqueror ''BONZO'' of B Squadron. 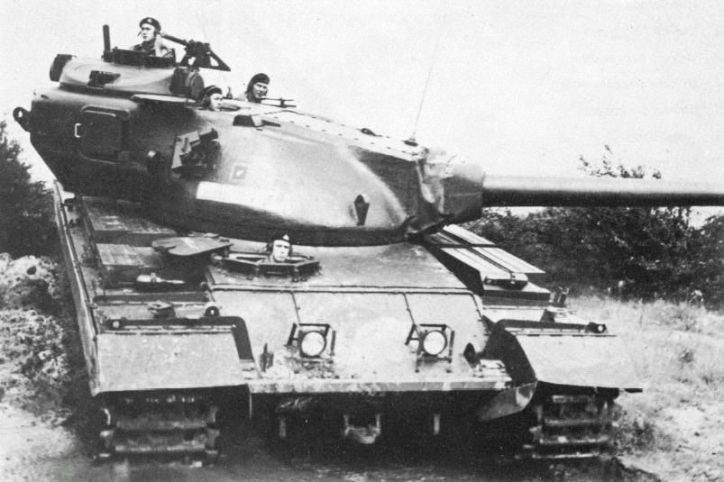 Conqueror MK.I in the foreground, Centurion MK.3 in the background.